These two featherweight kicked off the night. Moore was a submission attempt machine as he hooked in a guillotine choke when Major shot in for a takedown. Major powered our and took Moore down with a second attempt. Moore used an arm bar to leverage himself into top position where he ended the round on top. Major secured a single leg and took Moore to the mat for the second time of the match, laying down some ground and point before Moore was able to tie him up. Moore used his slick ground game to sweep Major and roll right into full mount. Position went back and forth, as Major gained top control, but Moore held onto Major's arm for an arm bar attempt, but was slammed for his trouble. Major ended the round in top position in a back and forth round. Both fighters decided to start this round exchanging blows. Moore was finding success with his left jab and Major decided it was time to head to the mat, as he secured his third takedown of the fight and gained full mount. Both fighters exchanged positions and Major ended the fight on top. The judges saw the fight differently than we did and scored a Unanimous Decision for Christopher Moore (29-28 x 3). Everything Franklin Jones does is with power. Both fighters took a while to feel each other out. Jones landed a hard right hand and missed a fight ending kick, but managed to get a takedown that shook The Ted and impressed the crowd. Jones secured his back and sunk in a rear-naked choke that ended the fight. Bynum tapped at the 2:19 mark, making Jones your winner in a very dominant performance. Team XCWT goes to 1-0 on the night, thus far. In a matchup of young heavyweights, crowd favorite Cichorz showed dominance early, connecting time and time again with his left jab. It was a hook kick that changed the complexion of the fight as it connected with Brothers and stunned him enough for Cichorz to get the fight to the ground. Cichorz maintained dominant position laying down heavy ground and pound. After a minute or so, referee Elvis Bello had seen enough and waived off the fight, giving a TKO victory, at 2:17, for Cichorz. Impact Martial Arts, with the largest and most vocal crowd in the stands runs their record on the night to 1-0. Funderburk looked to have an advantage early as a missed kick by Nguyen allowed him to get a takedown. However, that is where the advantage stopped, as Nguyen was s submission machine on the ground, securing an arm bar. The referee did not stop the fight, but Nguyen jumped up as if he thought the fight was over. Both fighters re-engaged and Nguyen took no time at all to get Funderburk to the ground, take his back and sink in a fight ending rear-naked choke. Nguyen is your winner at 1:41. Impact Martial Arts is 2-0 on the night. In a matchup of featherweight powerhouses, Stanley enjoyed a 6-inch height advantage and connected with several shots, but couldn't put together any combos to really use that advantage to it's fullest. Ba did a good job of closing distance and maintaining control against the cage. This round could have gone either way. Stanly maintained better distance and landed more frequently early, but seemed to tire midway through the round. Due to the fatigue, Stanley would only throw one shot at a time and wouldn't chase Ba. However, Ba didn't do much to take advantage of the fatigue and actually got taken down near the end of the round. Stanley had virtually nothing left in the third, not uncorking on a lot of shots, but seemed to wake up after the first minute or so, landing several shots on Ba and gaining dominant position against the cage. Ba got off the cage and briefly got Stanley to the ground but couldn't hold him. Both fighters alternated turns with their back on the cage until Ba got his second takedown of the round and maintained top position until the round ended. Once again we were apparently watching a different fight than the judges, as they scored the fight unanimously for Stanley by the scores of 30-27, 29-28 and 29-28. Round 1 was extremely close, however, and could easily see how it could be 29-28 for Stanley. This fight had a lot of action in a very short amount of time. Both fighters exchanged top position on the ground, with Garnes gaining a nice advantage against the cage with his ground and pound. Knuteson persevered and reversed the position, ultimately taking Garnes' back and sinking in a rear naked choke. Couple that with the two takedowns he scored and Knuteson walks away with the win at 2:37 of the round. Both fighters come into this fight having dropped their respective last bouts. This match also pits the two most highly represented gyms against one another as Team XCWT takes on Impact Martial Arts. Shermer came out and got the fight right to the ground and showed the speed on the mat that Team Impact has shown from it's fighters all night. He sunk in a rear-naked choke, which Greene fought off but Greene couldn't defend the second attempt and tapped at the 1:23 mark. The win moves Team Impact to 3-0 on the night. Takedown right off the bat for Outfox's Williams. Fighting as if he left the iron on at home, went right for an arm triangle choke. Curtis did a pretty good job of fighting it off and it turned into more of a headlock. Curtis did a good job of trying to stay busy on the bottom, landing a nice elbow strike to the face of Williams before looking for a Kimura which he used to reverse position and gain top control with 10 seconds left in the round. It was probably not enough to steal him the round, however. Williams, with one mission on his mind, a takedown, mirrored his effort from the first round and got a single leg takedown without even setting it up. On the ground, Williams moved quickly to top control and and went back to the arm triangle choke which he couldn't finish in the first. This time he was able to get it in deeper and Curtis tapped at 1:17. Cook came out in his trademark Tae Kwon Do stance and was quickly rushed and taken down by Ruffin. The momentum of the takedown didn't allow Ruffin to maintain position and Cook looked on a headlock. Somehow, even though the headlock was on, Ruffin had top position. In a scramble, Ruffin got Cook's back and attempted a rear-naked choke that was unsuccessful. Ruffin controlled Cook for the remainder of the round with a body triangle. Right back to the takedown for Ruffin. Much more control for Ruffin with this one as he took Cook's back immediately when the fight hit the mat. Ruffin rolled him over, sunk both hooks in and attempted another rear-naked choke, but Cook did another good job of getting nullifying the attempt. Through shear perseverance Cook was able to squirm free and gain top control as the round ended. Cook had a brief advantage in the early stand-up, but went for the same headlock that caused him to get taken down in the 2nd round, the head lock, and was taken down and quickly submitted with a rear-naked choke at the 48 second mark. Somebody's 0 has got to go in this matchup of young undefeated fighters. Tolliver, the former Ready 2 Fight Lightweight Champion takes on 1-0 Marshall Shermer in a Featherweight bout. These two started out at a Flyweight pace with lightning quick strikes from Shermer. Shermer was a little overzealous on a strike attempt and was taken down by Tolliver, but Shermer was so fast on the ground, he regained control quickly, looking for those quick submissions that Impact Martial Arts has shown tonight. Shermer held on to a triangle choke for a long period of time but was never able to completely lock it in. Even though he was on his back for the majority of the round, the submission activity by Shermer should have won him the favor of the judges in that round. Tolliver secured another takedown but left himself open, again, for the triangle choke that Shermer worked so effectively in the first round. This attempt was successful and Tolliver tapped at the 1:22 mark. The win for Shermer runs the Impact Martial Arts record to 3-0 on the night. The Carlos Condit look alike, Jacobs came out in a karate stance to begin this Middleweight bout. Tate evaded several strikes and took Jacobs to the mat. With the ground game not being the main area of combat for a karate fighter, Jacobs did a good job of weathering the storm and eventually gained top position. Tate escaped and looked like he would ride out the round on top but struck Jacobs with an illegal knee to the head, which referee Elvis Bello deemed severe enough to deduct a point from Tate. The second stanza brought out the boos from the capacity crowd as Jacobs seemed content to be a counter-striker. Unfortunately, Tate didn't throw that many strikes for him to counter. Tate landed a couple of leg kicks, but it was a pretty uneventful round. With the point deduction in the first and a sense of urgency, Tate came out in the final round on a mission to finish and finish he did. Tate used several takedowns and ground and pound from full mount to cause Elvis Bello to stop the fight at 1:08 of the round giving Tate a TKO victory. Kedrick Harris, making his Middleweight debut, looked absolutely monstrous at the lower weight. The former Light Heavyweight is taking on Zamora Boxing Gym product, Mychael Deal. Harris used his power to pick up deal for a slam early on. Deal scrambled back to his feet and get Harris against the cage, where in an exchange of knee strikes, Harris took an low blow. Harris recovered and got the fight back to the mat where he worked tirelessly for the rear-naked choke, which he successfully sunk in for the victory at 2:41 of the round. Lumabao-Espanto was winning the striking exchanges early, but missed on a high kick that Harris caught and used to take him down. Lumabao had a very active guard from the bottom, connecting with punches and elbows. The fight made it back to it's feet and Lumabao rushed in and scored a last second takedown right as the round was ending. Round two was a kicking clinic for Lumabao-Espanto as all kicks anywhere landed. He used them to set up a takedown and dominate the round. Harris scored a takedown as well but the fight was only on the mat for a second before Paul was back up. Harris came out connecting more effectively and got a takedown and was working from the top. However, Stacy Dolby deemed that not enough action was taking place and stood the fight up. Later in the round, Lumabao-Espanto pulled guard but slid off his sweaty opponent, giving Harris top position as the round ended. The judges scored a unanimous decision victory for Lumabao-Espanto by the scores of 29-28, 29-28 and 30-27. The Harris loss was the first loss of the night for Impact Martial Arts. Campos did a nice job of closing the distance against the 6'3" Wolford, who claimed a 4 inch height advantage over Campos. Juston's left jab landed with consistency and power. Wolford connected with some good low kicks but the majority of the damage was done by Campos who almost secured a guillotine choke submission at the end of the round, but Wolford was saved by the bell. What Campos lacked in height, he made up for in strength as he was just too strong for Wolford, who usually fights a weight class down. Campos took the fight to the ground and just overwhelmed Wolford with his ground and pound. Wolford weathered the early storm, but Campos was simply too strong and powerful and referee Elvis Bello waived off the contest at 1:20 of the round, giving Juston Campos the TKO victory. Round one was a grappling battle that saw both fighters exchanging dominant positions. Scruggs went for several submission after submission, including arm bars and triangle chokes. Unfortunately, Scruggs was unable to control the right hand/arm of Holloway, who made him pay with concussive head strikes. It appeared that Scruggs did enough to win the round. However, he was unable to answer the bell for the second round. Referee Elvis Bello explained that Scruggs hyperventilated in his corner and passed out and was unable to continue, giving Holloway the TKO victory at the 3:00 minute mark. One takedown a piece for each fighter. Balintfy came out and made it look like it might be a short night but the ultra tough Syan weathered it and did what he does well, dirty boxes. Syan won numerous exchanges in the tight quarters and ended the round in top position. Raz was an absolute grinder in the second. All those sessions grappling with Johnny Curtis and the Freedom MMA guys shown through as Syan got two takedowns and dominated the majority of the round from top position. Another grinding round for Syan. He scored two takedowns and worked most of the round from half-guard or side control. The constant pressure was too much for Balintfy to escape from. Two of the three judges gave Raz all three rounds and one judge saw it 2-1 for Raz. The Unaimous Decision victory goes to Syan. This bout is the final of the Spartyka Lightweight theChampionship Tournament. The winner of this bout becomes the new SFL Lightweight Champion. Two of the top amateurs not only in the area, but the region are hookin' em up in this one. Minor found it difficult to find Encinales with his strikes early so he went to his ground game that he honed at Ferrum College and took Encinales to the mat. Minor maintained top position but wasn't very successful with mounting much offenes, so Elvis Bello stood the two up. Minor's most dominant strike was near the end of the round as he connected with a left high kick but Encinales was able to walk through it and catch Minor's leg on the way down and score a quick takedown. Minor was the more elusive fighter in the stand up game this go around. He used good movement to evade the strikes of Encinales. Encinales, in an effort to limit that movement, focused numerous low leg kicks which he had success with. When the fighters clinched, "The Bull" made his appearance as Encinales went for a ride and a WWE-esque body slam. No damage was done, as Encinales popped right back up. Minor was breathing heavy by the end of the round, but nothing that seemed excessive. For a fighter that rarely exits the first round of his fights, his cardio level was going to be a potential decider of this fight, as Encinales is a cardio machine. So far, Minor is holding up well. Minor showed a huge jump in his stand-up tequnique as "The Bull" was executing with some nice combos that we haven't seen before. Encinales delivered another heavy dose of low leg kicks and did score a quick knockdown with a right, later in the round, but Minor persevered and took Encinales on another ride to the canvas. The judges scored the fight 30-27 x 2 and 29-28 for the NEW Spartyka Fight League Lightweight Champion, Damon Minor. 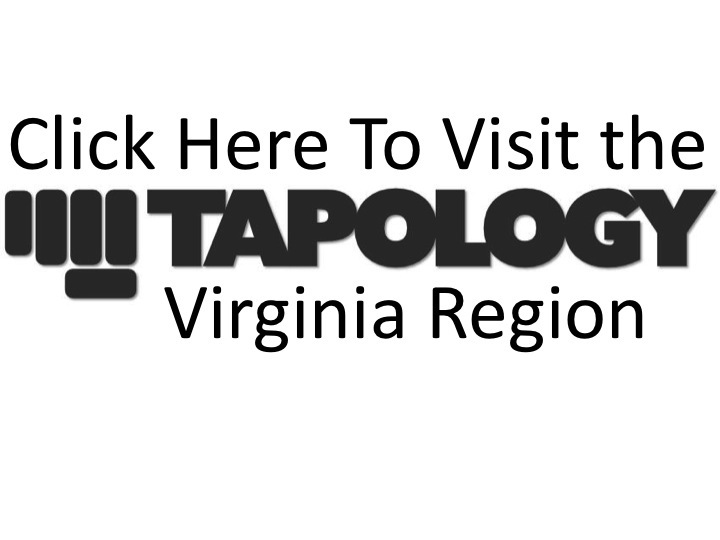 Official fight results can be found at Tapology.com.